NantWorks has invested in H1Z1 developer Daybreak Game Company as part of a new partnership between the companies. The two have entered into a joint games development and publishing venture called NantG Mobile. The new studio, which NantWorks has a controlling interest in, will work on mobile versions of H1Z1 and EverQuest. First up will be Z1 Battle Royale, which is a redesigned PC-based version of H1Z1: Battle Royale. On top of that, it will assume control and management of the current PC version of the H1Z1 Battle Royale game. NantWorks CEO and Los Angeles Times executive chairman Patrick Soon-Shiong will also join Daybreak’s board of directors. “Daybreak Games is pleased to have NantWorks as our investment partner to support and accelerate the growth of our company,” said Daybreak chairman of the board Jason Epstein. Soon-Shiong added: “I am delighted that our software capabilities at NantWorks, together with the creative expertise and infrastructure at NantStudio, which includes our low latency fibre network, will help accelerate the development of the platform at Daybreak, a company with a history dating back to its origins as Sony Online Entertainment. NantWorks is also planning construction of an LA Times Center, which will be adjacent to the new Los Angeles Times headquarters in El Segundo. The new space will include an event space, LA Times production studio and esports arenas where NantG Mobile will establish esports leagues for multiple game titles. PORQUE NÃO LANÇAM O H1Z1 JUST SURVIVE? 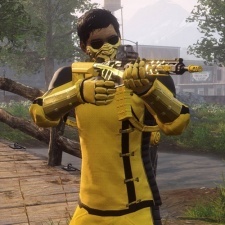 POIS ASSIM SERIA O PRIMEIRO OPEN WORLD DE ZUMBIE DO MUNDO, E TENHO SERTEZA QUE TODOS IRIAM GOSTAR MAIS DELE DO QUE UM BATTLE ROYALE!